I say again for full dramatic effect – We have developed a leak! It looks like something has gone wrong with our roof. The loft is all boarded up (the previous owners have turned all the eaves into cupboards and yes it is ideal for ease of storage but definitely not for access) so we cannot see a lot, as we are not able to get there. There is a space to stick your head through and shine a torch, which we did and it looks dry … but obviously it is not! What a start to the New Year, hey? I blame global warming for all these excessive weather changes, but who do we blame for global warming?!? I hope the beginning to your new year goes much better! < Previous Happy New Year 2014! I am not sure how fast molds grows but this was only wet for a day now, so hopefully it will be fixed before anything have a change to make home there. Yikes! I hope it gets fixed soon! I have a friend in England who has been saying how crazy the rain and wind has been there lately! Sorry about your bad luck! Hope everything improves! Oh dear, I hope you get it fixed soon. Leaks are a pain my advise is to get it fixed asap before it causes more damage. How annoying. Climate change is responsible for a lot of horrible weather. We need your rain. Hope it’s fixed soon. OH NOOOOO!!!! I Hope you are able to get that fixed very very soon! 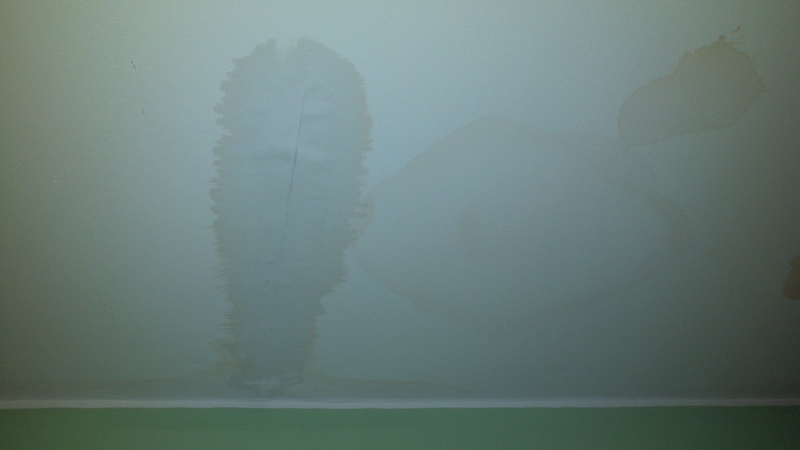 Oh…I hope the leak is fixed soon. The weather has been real bad since so many days. And more harsh weather predicted for the weekend. Stay safe.